This entry was posted on July 18, 2017 by Sew Essential. 'It is all in the pressing' was the first piece of sewing advice Angela ever gave me. She explained you should spend almost as much time pressing as sewing if you want to achieve a truly professional finish on your handmade garments. Ignore this advice and an incredibly well made item of clothing could still look, well, very handmade. In this article we share Angela's top tips to press like a pro. The first thing to get right is your iron. Wherever possible use a steam generator iron rather than a normal steam iron. 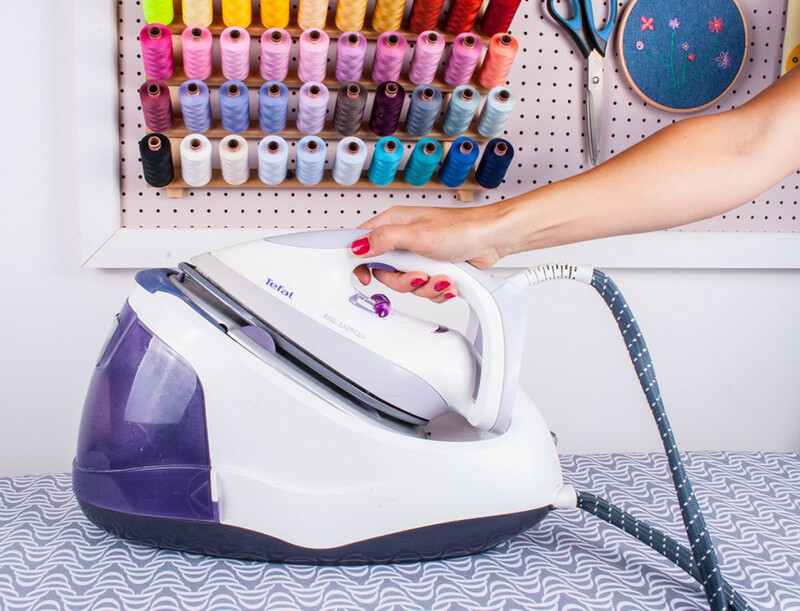 Steam generator irons come with a much heftier price tag, but they are a worthwhile investment. They are far more powerful and you will be amazed at how much quicker and easier it is to get perfect results. This goes for your normal ironing pile as well as your dressmaking projects if you need further justification for splashing out! Whichever iron you use, clearly it is important to keep the iron plate clean to prevent marks on your fabric. 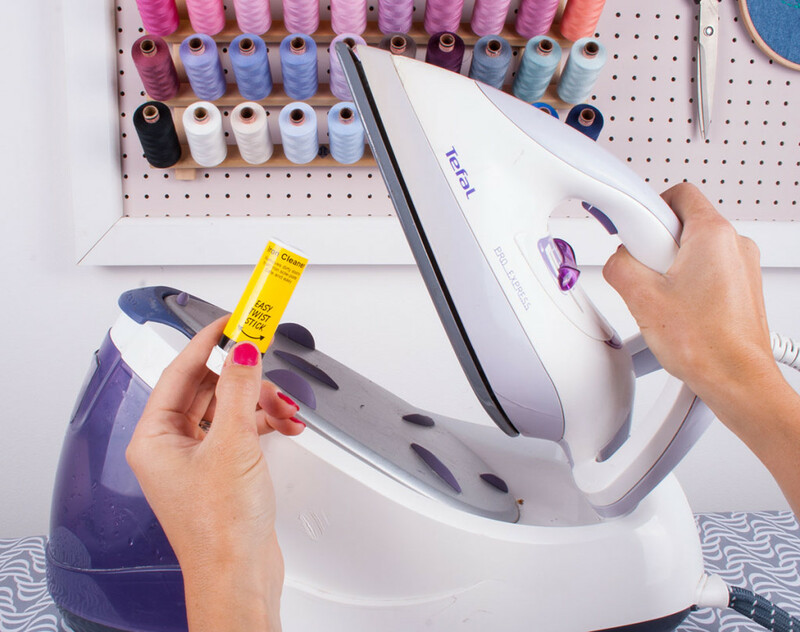 You can even buy iron cleaners to help maintain your iron. 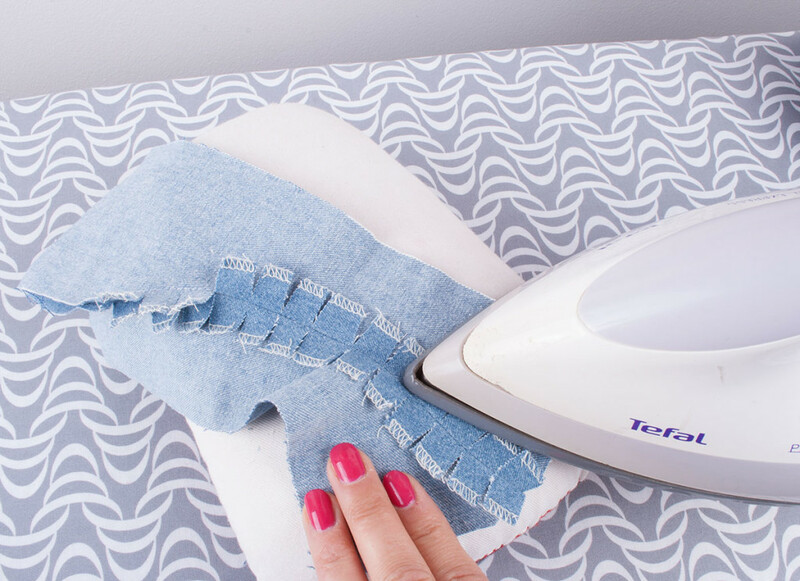 Make sure there are no lumps or folds in your ironing board pad or cover. An uneven surface can create marks or shine on the fabric. Consider the type of fabric you are working with and test the iron on scraps of fabric before your garment. Work with the iron as hot as the fabric will allow. 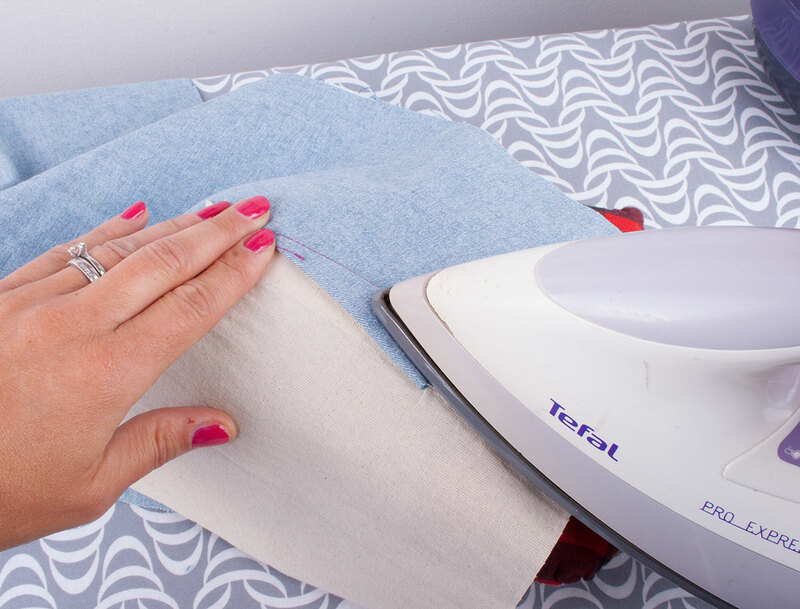 Using a pressing cloth will protect your fabric and give you extra confidence when pressing. We highly recommend using silk organza. You can make two cloths from half a metre and if you overlock or finish the edges it will last you a lifetime. The semi-transparency of the organza allows you to see how your fabric is pressing so you can avoid pressing in any creases. It is an extremely durable fabric and will diffuse the heat slightly allowing you to work with a higher temperature on your iron. If you don't have silk organza you can use a cotton pressing cloth or piece of natural lightweight cotton. If using a piece of cotton make sure you pre wash it to avoid any colour run. The second thing to understand is the difference between ironing and pressing. When ironing clothes the iron is pushed across and glides across the fabric. 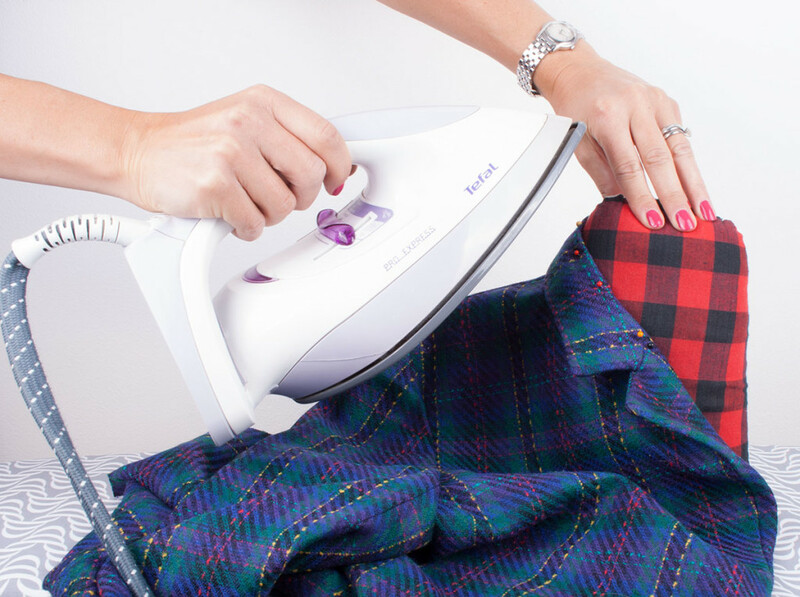 When pressing the iron should be lowered onto and lifted off the fabric. This is because lowering and lifting (pressing) the iron flattens seams or moulds the garment without stretching seams or distorting the grain. More pressure is applied when pressing than ironing, although the amount of pressure applied should vary to suit the fabric type. For example most woollen fabrics and polyesters require little or no pressure whereas cottons require a good amount of pressure. It is important to take care not to over press since this can remove texture and create shine. 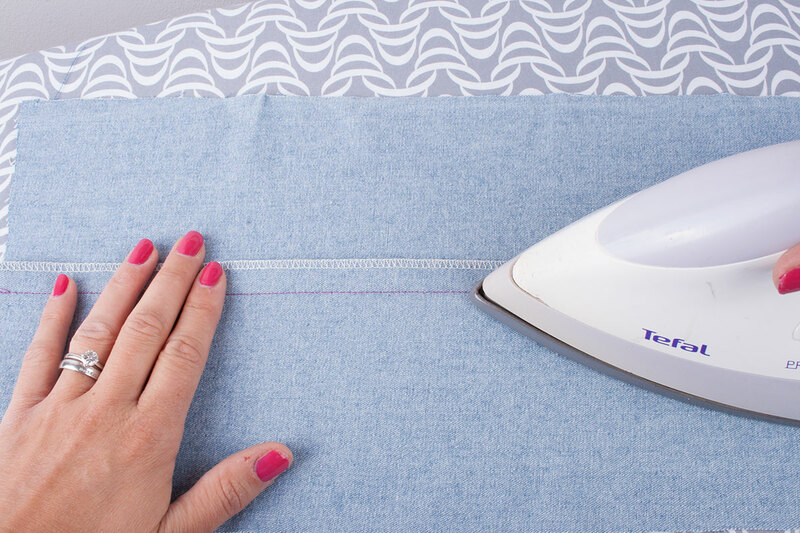 Always iron your fabric before cutting it out. If the fabric has particularly stubborn creases this Best Press spray works like magic to remove those wrinkles. This goes for your clothes too! The golden rule is to never cross a seam until you've pressed it. 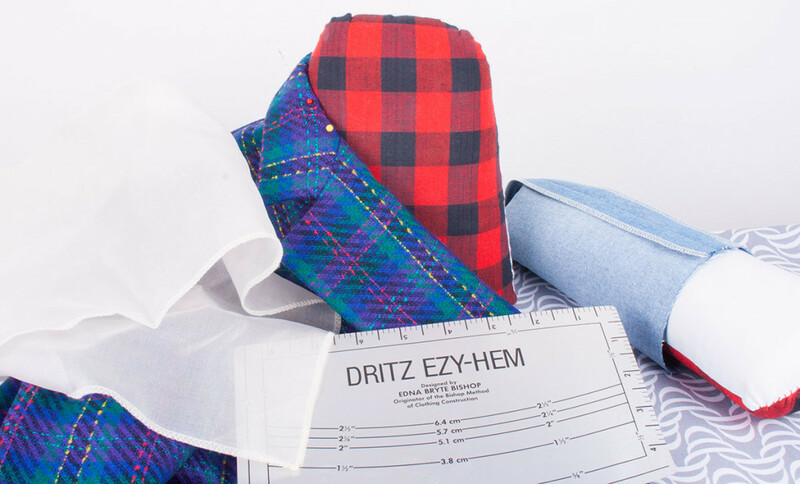 In other words press each seam, tuck or dart before you join it to a seam or piece of fabric. 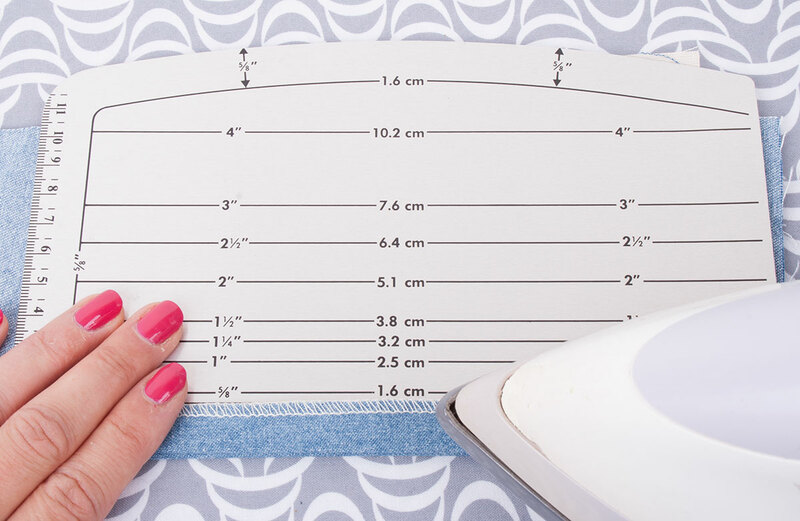 This doesn't mean you have to press each seam immediately after sewing. For example when sewing a skirt you may be able to sew the side seams and centre back and/or front seams then press them in a job lot rather than sewing then pressing each one as you go. Neaten your seams before pressing. 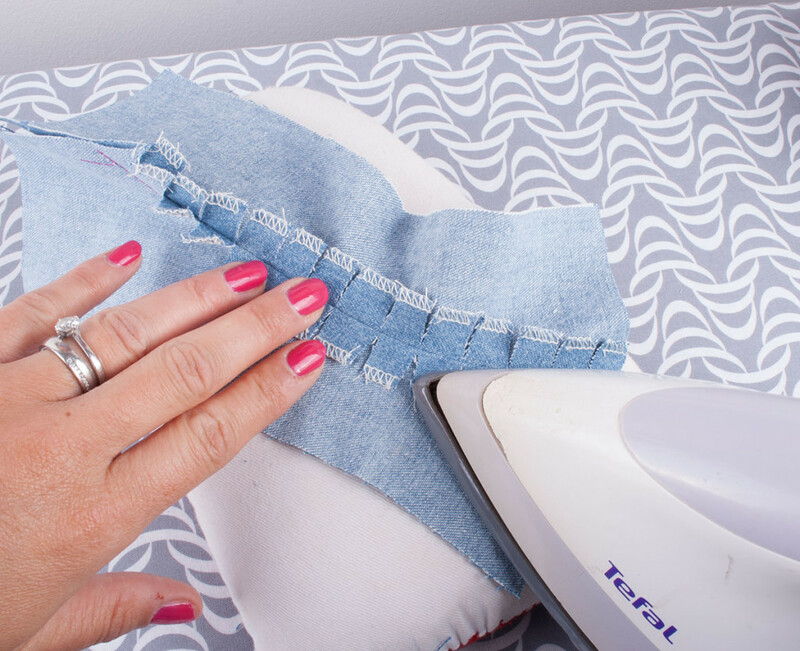 If you press seams then neaten you will be lifting the seam allowance again defeating the object of pressing and flattening it in the first place. Press the seam flat on the wrong side of the fabric and both sides of the seam. This melds the stitches to the fabric. I have used a contrasting thread and omitted the pressing cloth to make things clear in the photos. Press the seam open or to the side as per the pattern instructions and leave to cool. 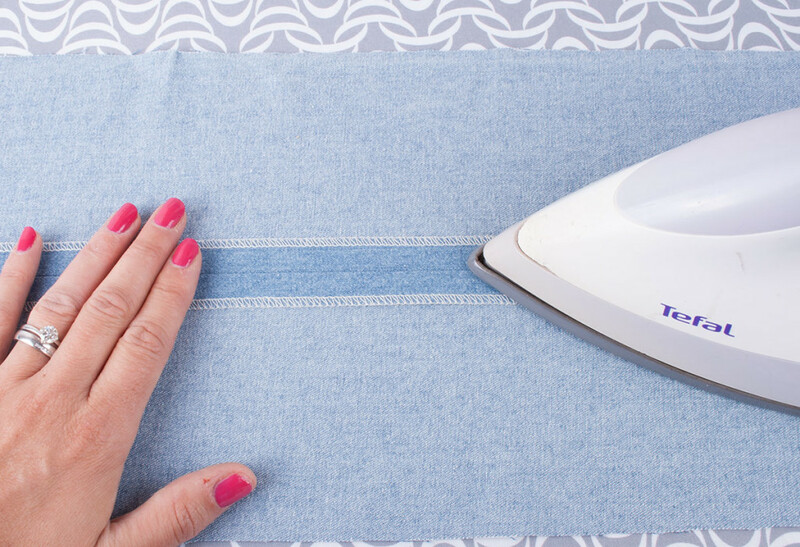 You can simply use your ironing board for pressing straight seams. We recommend pressing all curved seams on a tailors ham or sleeve roll. Snip to, not through, the seamline round the curve to allow the fabric to shape into the curve. Using these pressing aids allows you to shape the fabric into the required curve. In the images below I manoeuvred the fabric on the ham to create the curve on one side of the seamline and pressed. Then repeated for the other side. They also allow the main fabric to fall over the curve of the ham and away from the seamline therefore concentrating the pressing on the seam. 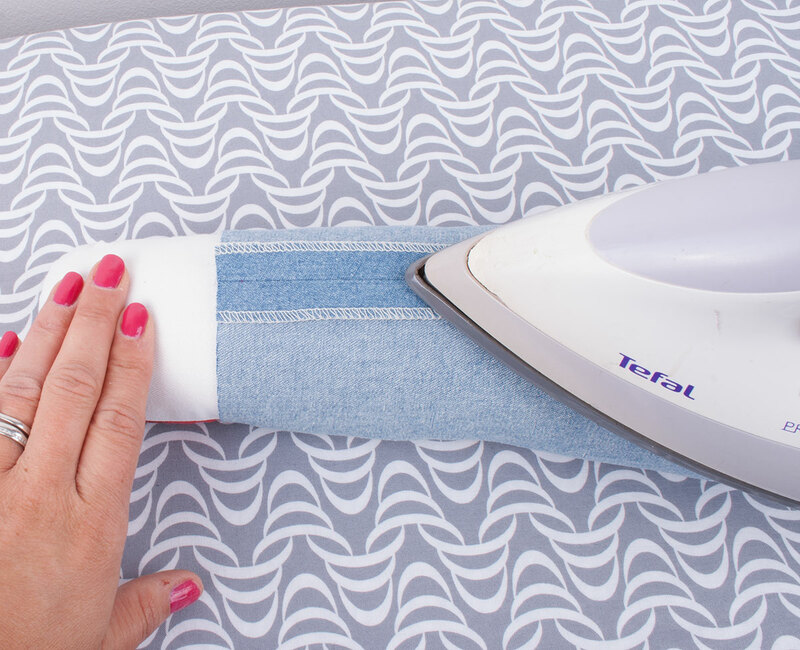 If you don't have a pressing aid you can use the end of your ironing board to shape the curve. Using a tailors ham or sleeve roll and a good iron often means pressing the right side of the fabric is unnecessary. This is a real advantage since you do not run the risk of damaging the right side of your fabric. 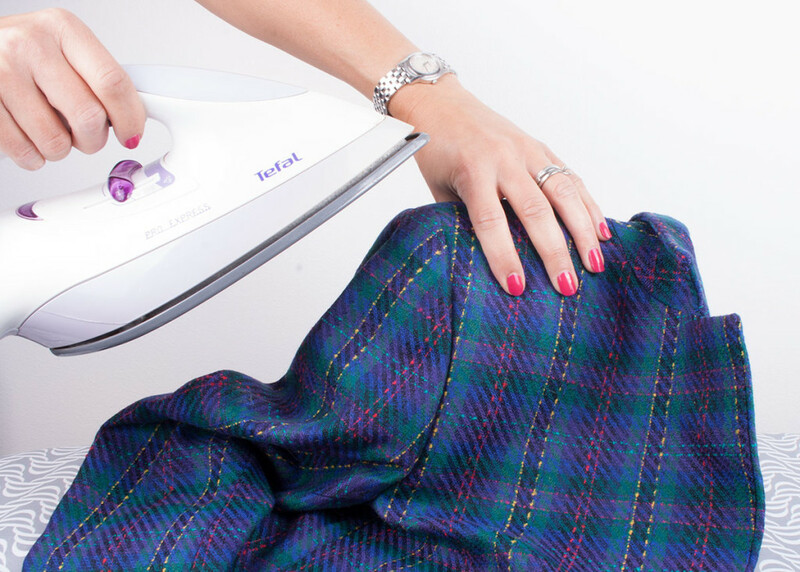 If you don't have a tailors ham/sleeve roll and need to press from the right side we would recommend hovering your iron over the relevant area to give it some steam then pat the fabric and allow to cool. To avoid visible imprints from your seam allowance slide a piece of calico between the seam allowance and the main garment fabric before pressing. This is also a useful tip for pressing darts. Press darts over a tailors ham so the pressing is concentrated at the dart. Consider which direction your dart should be pressed in (this should be advised in your pattern instructions). Always press seams from the widest to the narrowest part. For example from the hem to the waist or towards the point of a dart. Always remove any basting stitches before pressing. You will notice tailors hams and sleeve rolls are covered with two different fabrics. One side is wool or a wool mix and the other side is calico. The wool side should be used for pressing woollen fabrics to prevent shine. The wool side is also better for textured fabrics because the fabric is more likely to sink into the pile and not flatten. The shape of a tailors ham is also deliberate. As mentioned above it is curved to allow the fabric to fall away from the seamline when pressing. It also has a wider end and a narrower end to accommodate different sized areas for pressing. Get creative with positioning your garments on your ham, it doesn't always need to be lying flat on your ironing board. Stand it up on the wider end and you can slip the collar of a shirt or jacket over the narrower end. Pin the garment in place and steam it into shape. You can also drape the sleeve head of a jacket over the narrower end to steam it into shape. This allows you to create the desired shape without losing the volume that should be present at the sleeve head. Sleeve rolls are perfect for those narrower gaps on garments such as, yes you've guessed it, sleeves! Trouser legs are another example where a sleeve roll makes life a lot easier. Apply the same principles as the tailors ham above. It is possible to create your own tailors ham or sleeve roll, however, it is difficult to achieve the same firmness as the professionally made ones. 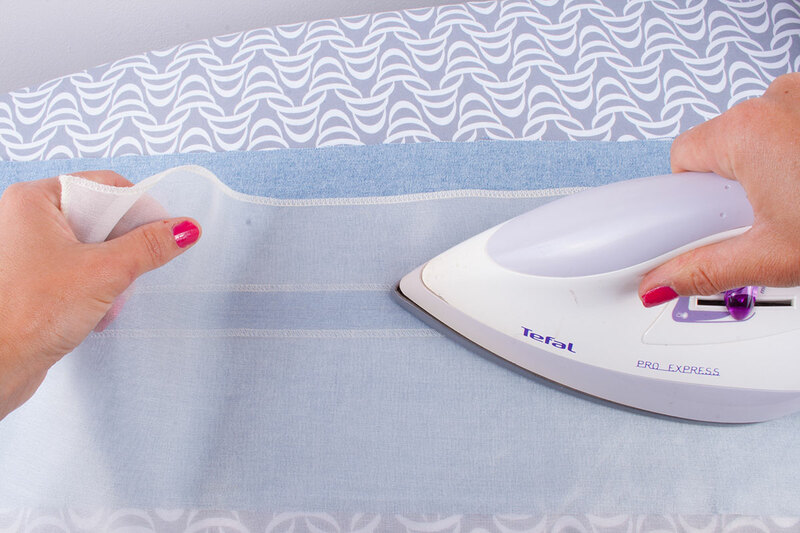 Hovering the iron over an area and applying steam is a good way to shrink fabric in areas where this is required. For example, if you have stretched a neckline slightly when attaching a binding. This technique is used a lot in tailoring to create shape and structure in a garment. To create sharp creases, for example, in a pair of trousers tailors run a thin slither of soap down the inside where the crease should be. The fabric is then pressed from the right side. When pressing collars, lapels and facings the aim is to hide the stitching line. Gently roll the under side under as you press. For a collar, if the pattern you are working with has an under collar and an over collar, trim the under collar slightly smaller to help with this technique. 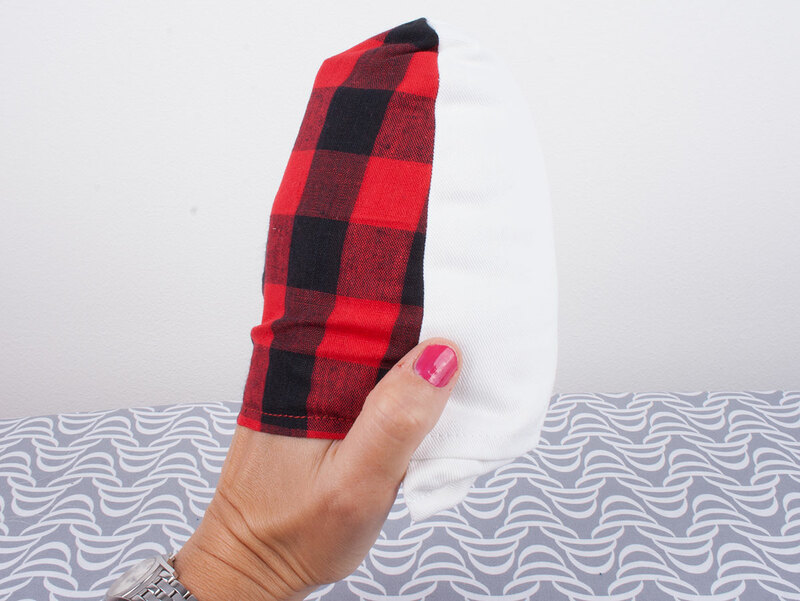 You can use a pressing mitt to protect your hands and help you get into those difficult to reach areas. There are a also a number of measuring gauges you can use to make pressing even hems super easy. The one featured below is the Dritz Esy Hem tool. It has markings for different hem allowances and curved and straight edges to suit the shape of your hem. We hope you've enjoyed our top tips for pressing. The good news is very little final pressing is required if you press properly throughout making. Time to press for success! Follow us on Facebook Twitter YouTube and Instagram for news, tutorials, special offers, sales and more.